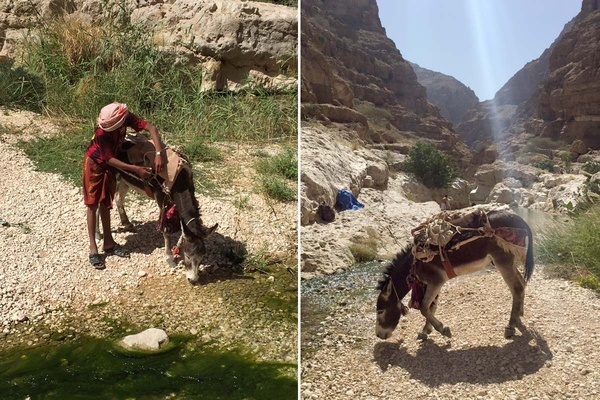 Basking in the sun at Wadi Shab. All photos by Paul Jebara. 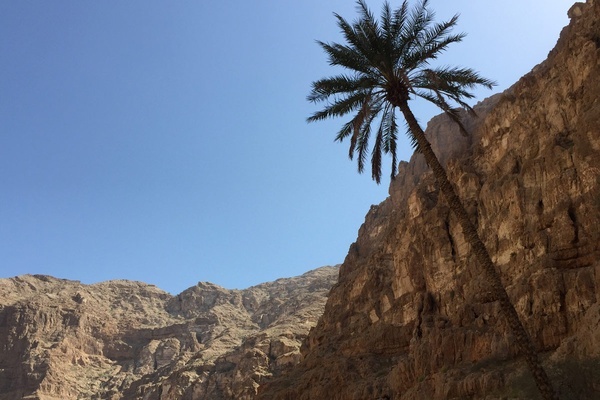 Paul Jebara only had a few days in Oman, but he made time for an unforgettable day exploring and swimming a wadi where few tourists dare to tread. 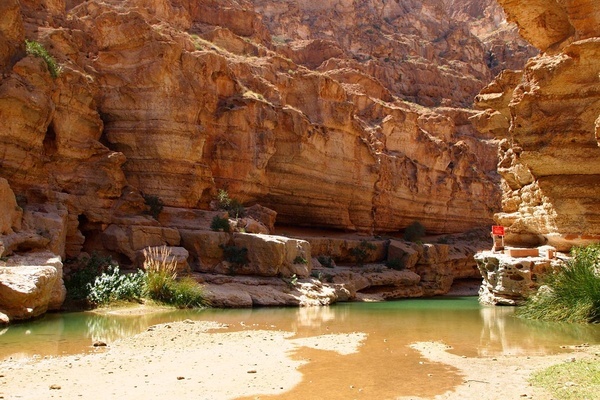 WADI SHAB, Oman – My claustrophobia was put to the test when Walid motioned for me to swim through what looked like a dead end. A group of rowdy Brits had turned around at this point, and I would have too, had our guide not mentioned that the best part was through a crevice not much wider than my shoulders. 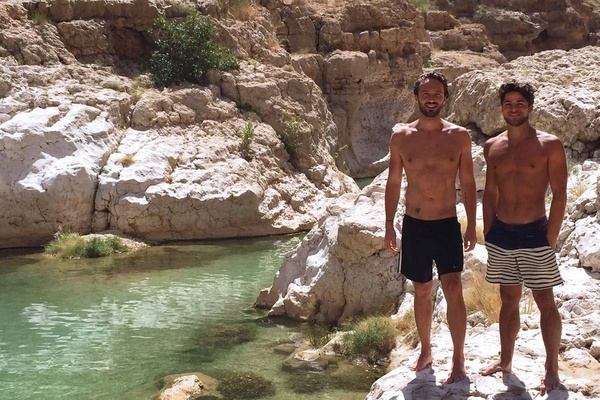 While other tour guides were perched on the rocks supervising their customers from a comfortable distance, ours literally dove in headfirst to show us what most visitors miss out on — the waterfall at the source of Wadi Shab. Three days was all we had, and after a few hours in Muscat, I knew that Oman's allure lived outside the city and in the cragged mountains in the distance. My friend and I made the hedonistic choice to base ourselves at the sumptuous Shangri-la Bar Al-Jissah, but were restless to escape the resort. 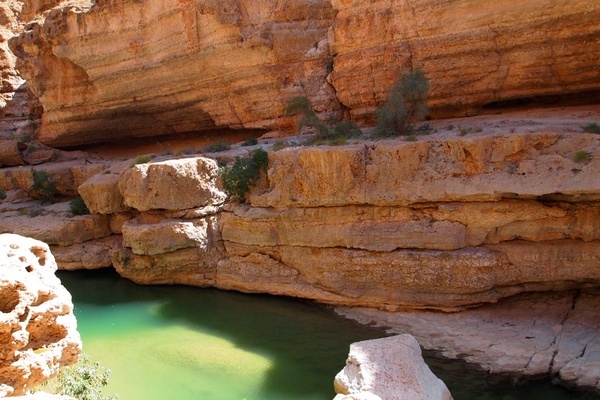 It was a quick decision to book a private trip to Wadi Shab through Lifetime Tours, knowing that our guide would be local and the itinerary somewhat flexible. 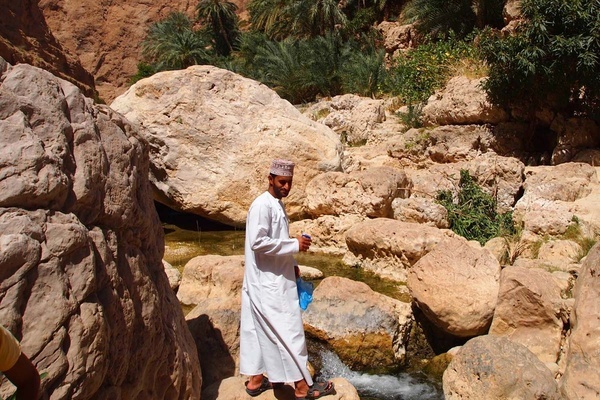 While a surge in tourism is slowly making it easier to be a self-sufficient traveler in Oman, I felt a tour was still necessary since our stay was so short. Our guide was Walid, a soft-spoken Muscati dressed in the traditional white dishdasha. He later told us he was 31 years old, but with his lean frame and youthful face, he could have been fresh out of high school. After two hours on impressive new roads discussing the geopolitical situation of the region, we reached the valley's entrance outside of the coastal town of Tiwi. High water levels created a lake, making the path impenetrable by foot, so Walid whistled a birdlike tune that summoned a rickety fishing boat to take us across to the trailhead. I could tell he was relieved to be guiding an athletic pair of tourists who could swiftly bypass the meandering families and elderly groups that hesitated with each step along the trail. The three of us were springing off rocks like mountain goats hustling to reach the watering hole. 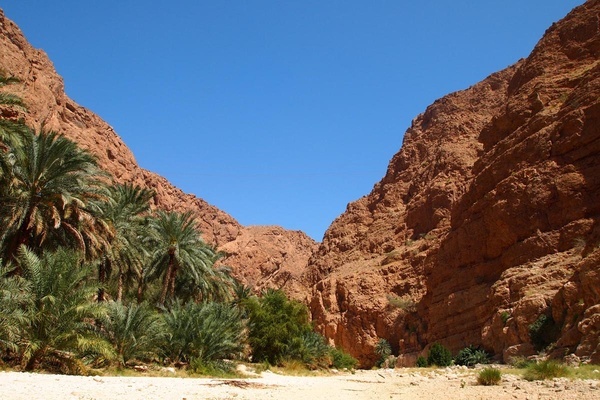 Still, there were times of inevitable pause to absorb the prehistoric landscape — a true oasis in the desert filled with date palms and cool, clean, running water. Beyond what any photograph can convey. The author, on the right, with his fellow adventurer. The trail hugged the side of the cliff until we reached the first of three turquoise pools that were too deep to walk through and needed a diligent swim to cross. Most visitors ended their tour here, sunbathing on the rocks or enjoying the pedicure fish that swam up to eat the dead skin between their toes. There were two more pools to cover, each deeper than the last. "How much farther till the end?" I blurted to Walid while treading water, admittedly struggling to catch my breath. "Almost. Not everyone get to see, but you will love. Follow me." He swims off on his own. Sure, I was nervous to blindly follow our local guide into the unknown, but regret was the last thing I wanted to leave with on this trip. So I accepted what felt like a private invitation to one of the world's best-kept secrets. And for a minute, maybe two, it was just me and the waterfall gushing from above, whose sound blanketed all distractions from the world outside. That is, until Walid did a cannonball from the sky.